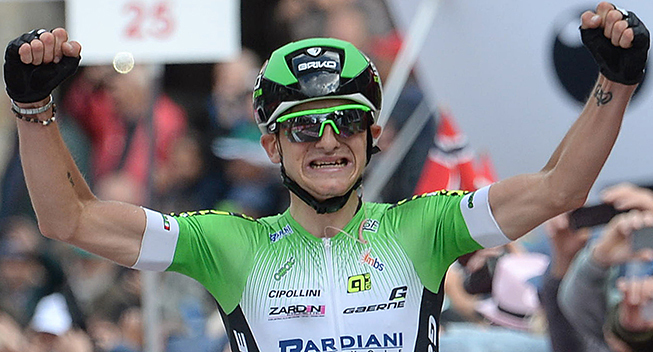 On December 29, Bardiani's Giulio Ciccone has had a follow-up visit at Monzino Cardiological Centre (Milan) after the ablative operation he undewent on October 20. In order to limit the time needed to reover in view of the new cycling season, Ciccone has already undergone surgery and will leave Monzino Centre in a short time, facing the recovery process at home. Ciccone’s debut in 2017 has not been decided yet. Bardiani-CSF’s management wanted to plan the rider’s schedule in January but to ensure the best recovery, the decision has been postponed until February. In 2016, Ciccone won a mountain stage at the Giro during his neo-pro season.